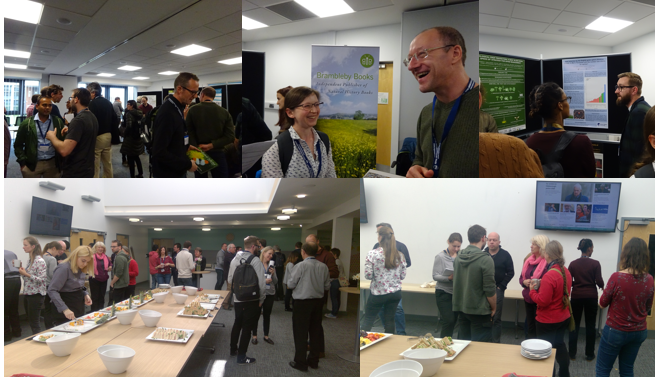 I have just returned from a very enjoyable two-day meeting at Rothamsted Research Station in Harpenden. 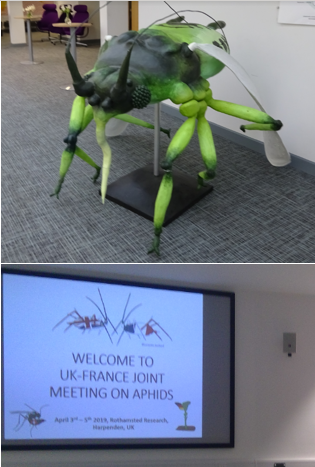 This was a follow-up to the very enjoyable meeting we had in Paris in 2015 which made me ask somewhat facetiously, if pea aphids ruled the world 😊 As with the Paris meeting, this recent meeting was jointly organised by Jean-Christophe Simon and Richard Harrington with some input by me. 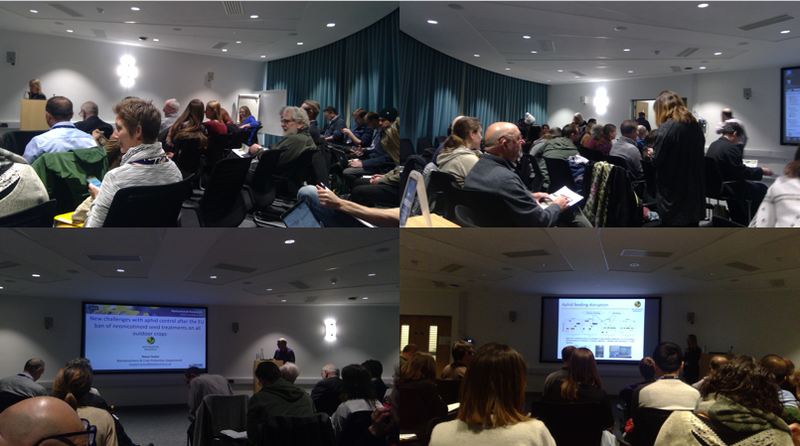 There were ninety delegates, and not just from France and the UK; we had a keynote speaker from Japan, Tsutomu Tsuchida, and also speakers from Belgium, the Czech Republic, Germany, Ireland and Switzerland. Tsumato Tsuchida, me, Richard Harrington, Julie Jaquiéry, Jean-Christophe Simon and Richard Blackman. 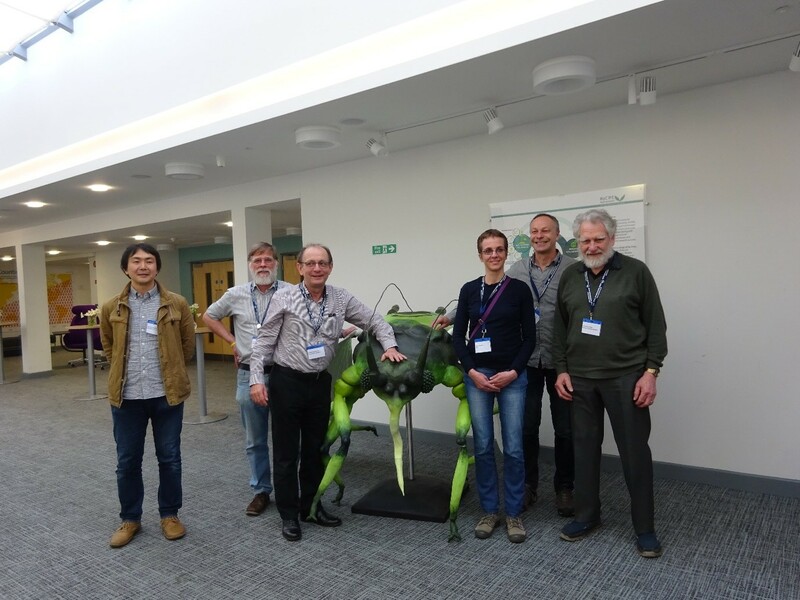 Our other three keynote speakers included two of the doyens of the aphid world, Roger Blackman and Helmut van Emden and Julie Jaquiéry from the University of Rennes. As with the Paris meeting, many of the talks were about the pea aphid and symbionts. 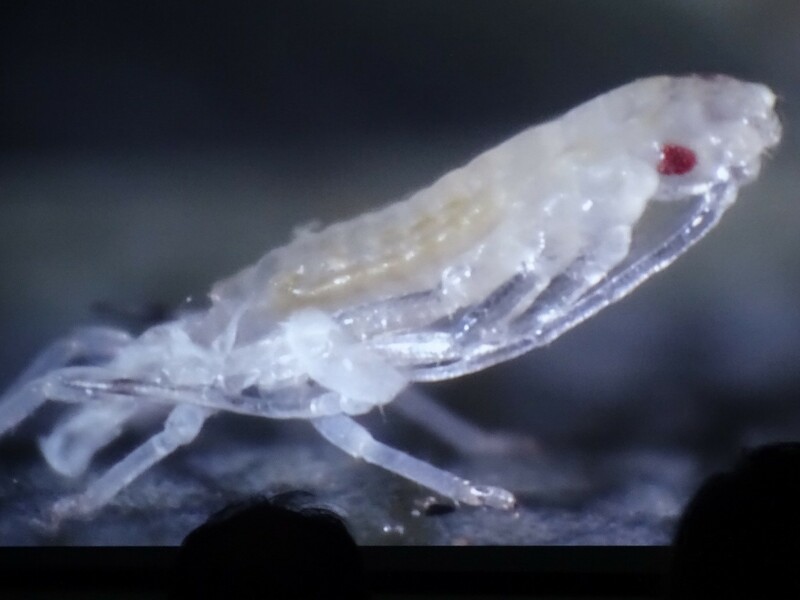 Other aphids did, however, get mentioned, including my favourite aphid, Rhopaloisphum padi, which featured in an excellent talk by PhD student Amma Simon from Rothamsted, who is supervised by one of my former students, Gia Aradottir. 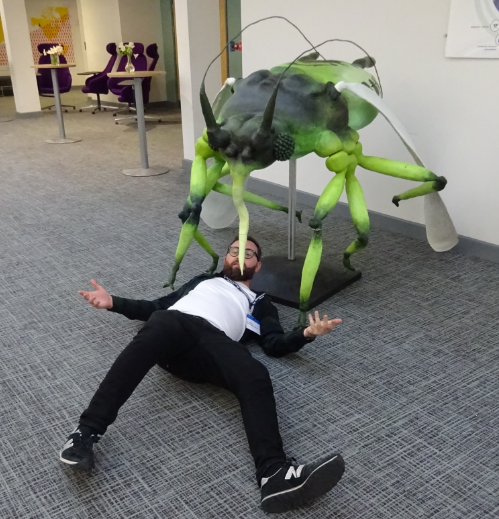 There was an excellent poster session, a tribute to the late great, Ole Heie from Mariusz Kanturski, a fabulous film by Urs Wyss, which included shocking scenes of lime aphids being torn apart by vicious predators, and of course the conference dinner. It would take too long to describe all the talks, so I will let the pictures tell the story of a very enjoyable meeting. Hopefully we will all meet again in France in 2023. Many thanks to the Royal Entomological Society and BAPOA/INRA for funding. 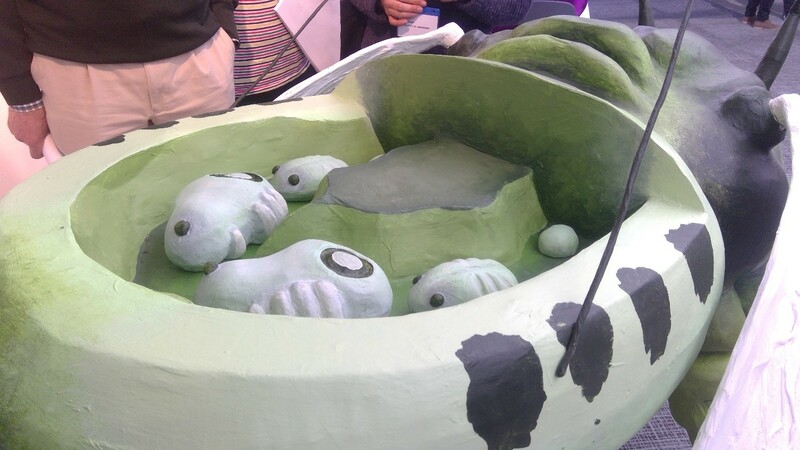 A galling experience – what on earth is an aphid-induced phytotoxemia? Scientists, actually let me correct that, all members of specialist groups, be they plumbers or astrophysicists, love their jargon. Insect-induced phytotoxemias is a great example. What entomologists and plant physiologists mean by this term is plant damage caused by an insect. 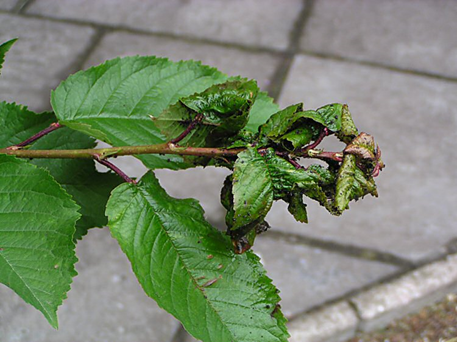 The visible damage that insects can cause to plants ranges from discolouration, lesions, and malformation of stems and leaves. As the title of this post suggests I am going to discuss galls. 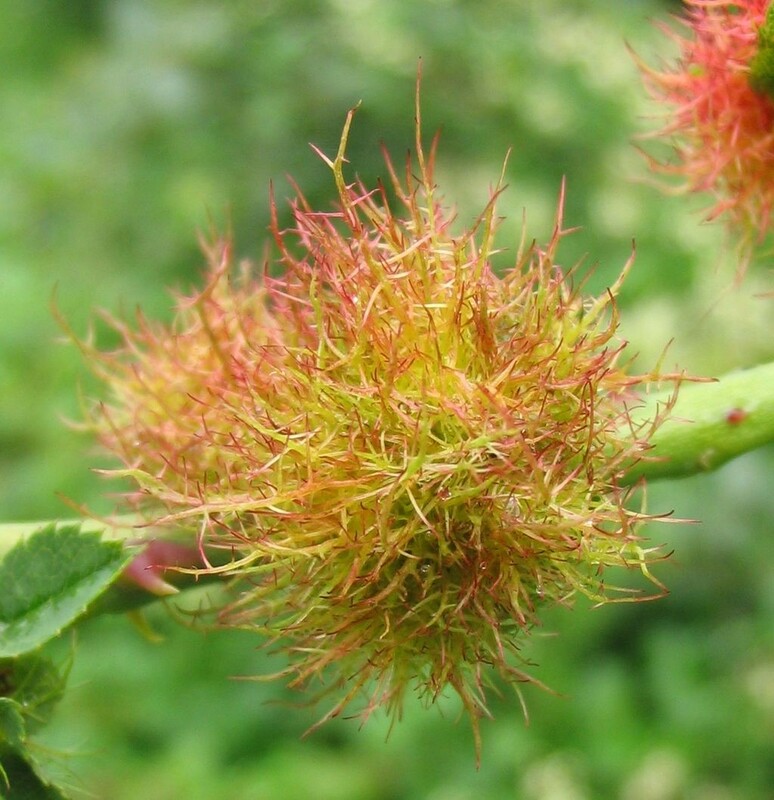 Many insects produce galls, some of which can be spectacular such as Robin’s pin cushion gall caused by the wasp, Diplolepis rosae, but being a staunch aphidologist I am going to concentrate on various leaf deformities caused by aphids. Robin’s pin cushion gall, caused by Diplolepis rosae. 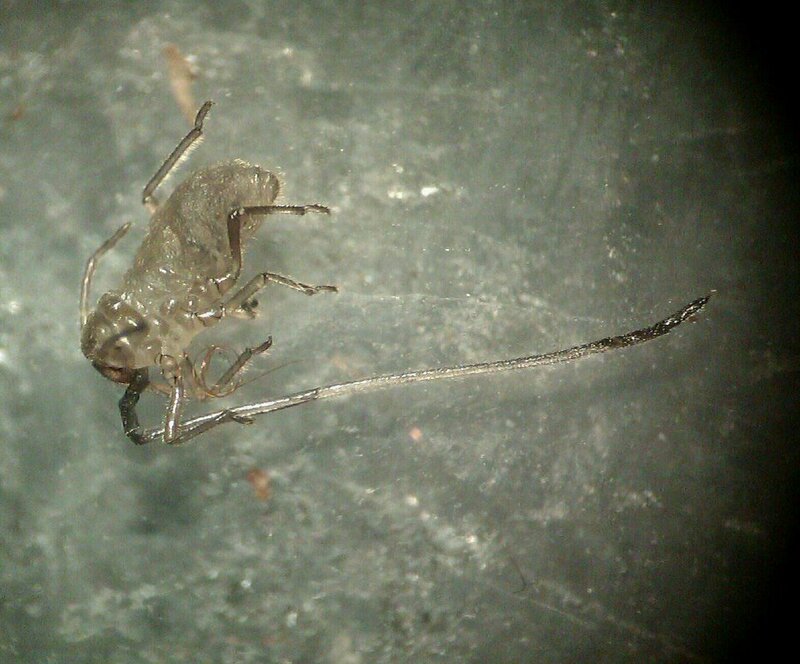 Aphids are true bugs, they are characterised by the possession of piercing and sucking mouthparts, the stylets, think of a hypodermic needle, being the piercing part of the mouthparts. 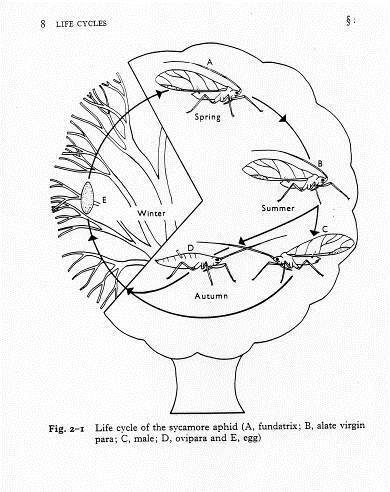 Aphid mouthparts, showing the passage of the stylets to the phloem (Dixon, 1973). It was originally thought that the various leaf deformities resulting from aphid feeding was a direct result of the mechanical damage caused by the stylet entering the leaf and rupturing cell walls or possibly by the transmission of a disease. A series of elegant experiments by Kenneth Smith in the 1920s showed however, that insect salivary gland extracts were needed to cause the damage (Smith, 1920, 1926). 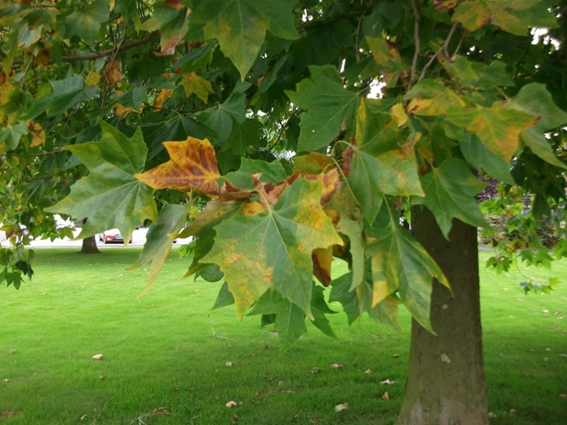 Puncturing leaves with needles did not produce the same symptoms. 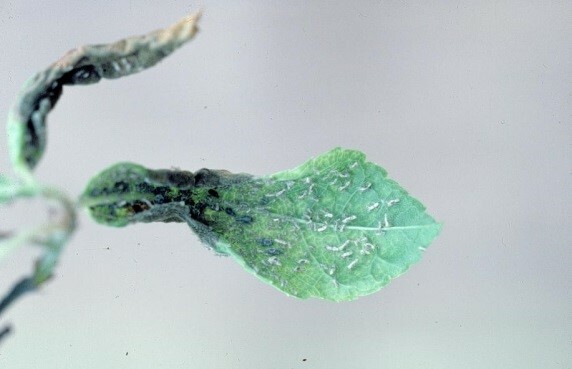 The leaf rolls, leaf curls and pseudo-galls caused by aphids vary between species even when the aphids are closely related or their host plants are. As an example of the latter, the bird cherry-oat aphid, Rhopalosiphum padi, causes what I would describe as a leaf roll, i.e. 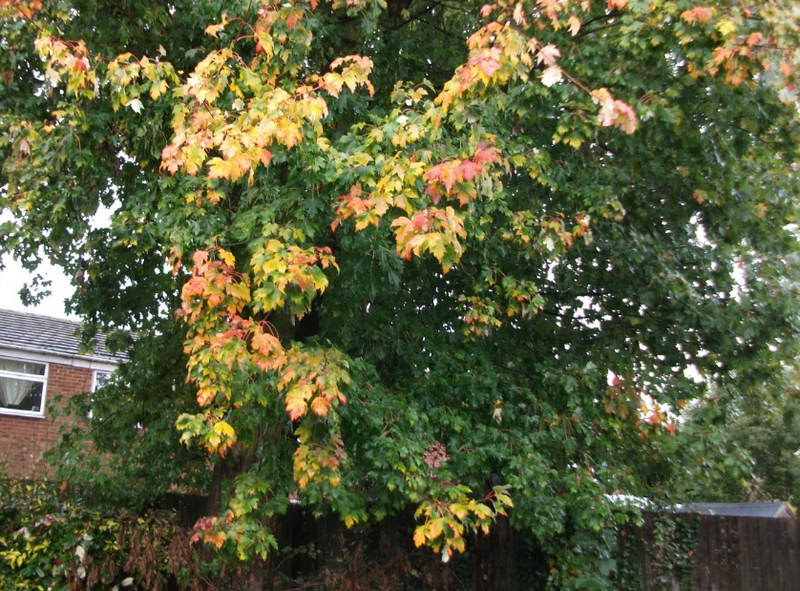 the leaves curl in from the edges towards the mid-rib, to make something that resembles a sausage. 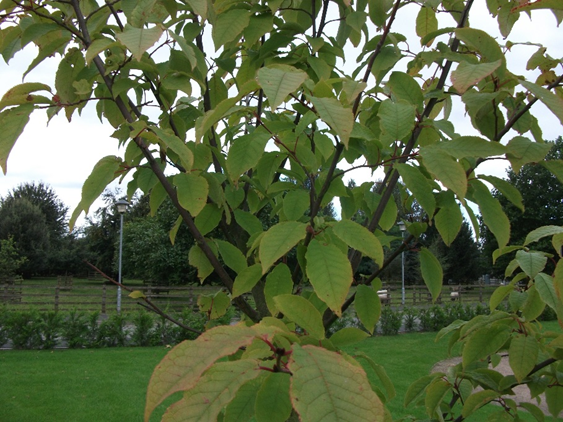 Leaf roll pseudo-galls on bird cherry, Prunus padus, caused by the bird cherry oat aphid, Rhopalosiphum padi. On the other hand, the cherry blackfly, Myzus cerasi, that has Prunus avium as its primary host, causes what I describe as leaf curls (think ringlets and curls in human hair terms), in that the leaf rolls up from the tip down towards the stalk (petiole). Similarly, there are two closely related aphid species, Dysaphis devecta and D. plantaginea, both feed on apple leaves, but D. devecta prefers to feed on the smaller veins while D. plantaginea prefers to feed on the mid-rib. 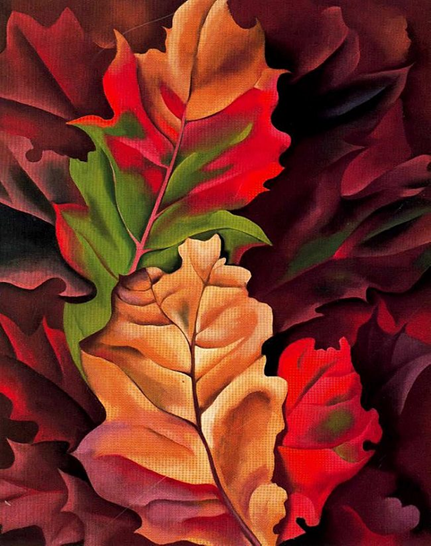 The former causes a leaf-roll, the latter a leaf curl. 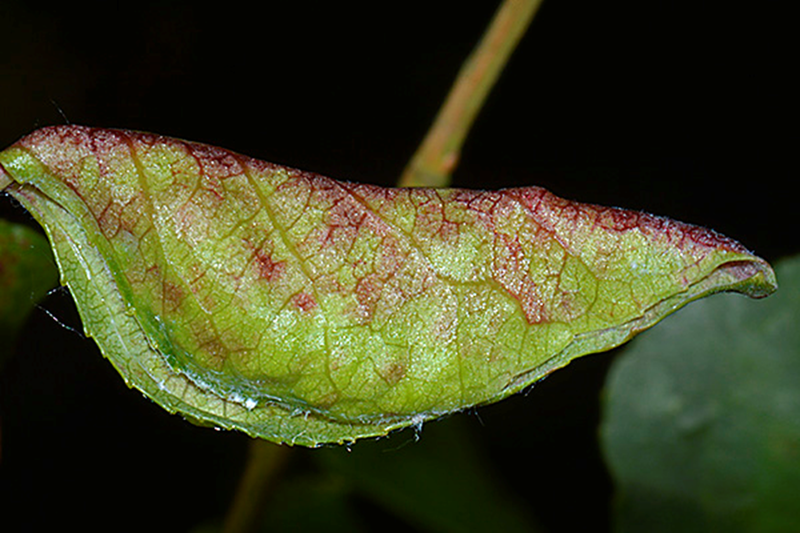 As well as leaf rolls and leaf curls, some aphids are able to induce leaf folds. The poplar-buttercup gall aphid, Thecabius affinis being a good example. 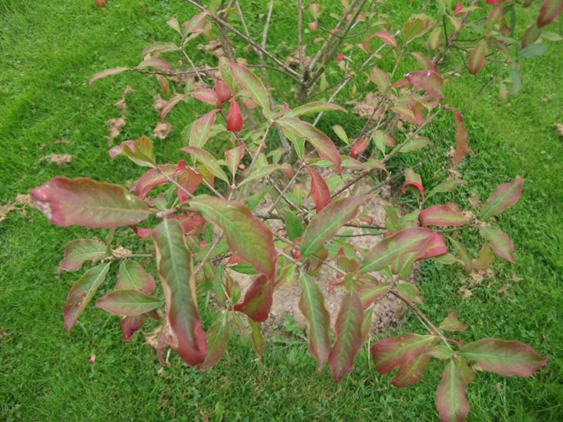 You might think that it is the aphid feeding site that causes the characteristic roll, curl or fold, but if groups of D. devecta or D. plantaginea are caged on the stem of an apple seedling, young leaves several centimetres away will develop leaf rolls characteristic of each species suggesting that they are caused by specific substances in the saliva of each aphid (Forrest & Dixon, 1975). 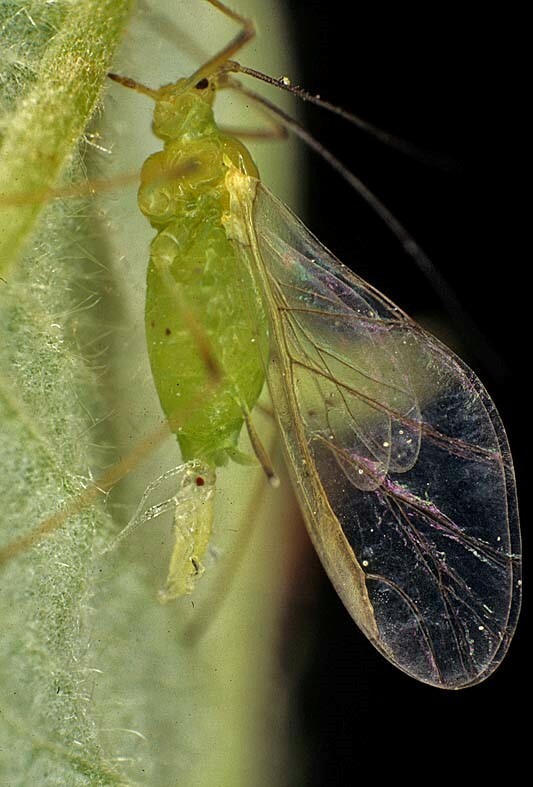 Aphid saliva is known to contain a huge range of proteins from amino acids to digestive enzymes (Miles, 1999) so it is highly likely that different aphid species have evolved different suites of enzymes that enable them exploit their respective host plants more efficiently. 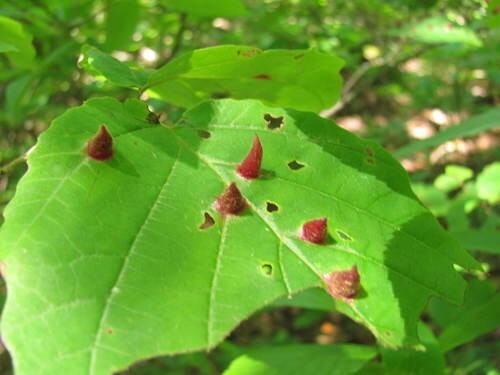 Entomologists who work on plant galls suspect that there is something in the saliva that makes the plant’s hormones trigger the gall formation, but they freely admit that they are still just guessing. Leaf rolls and curls are pretty tame when you come to look at the galls some aphids can induce. Aphids from the family Pemphigidae cause structural deformations that totally enclose them and their offspring. Not all enclosed galls are on petioles, the witch-hazel cone gall aphid (Hormaphis hamamelidis causes very distinctive galls on the leaves of its host plant. 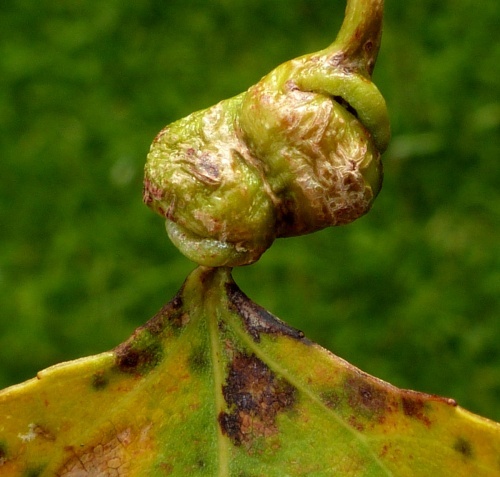 So what is it with insect galls? Are they of any use? 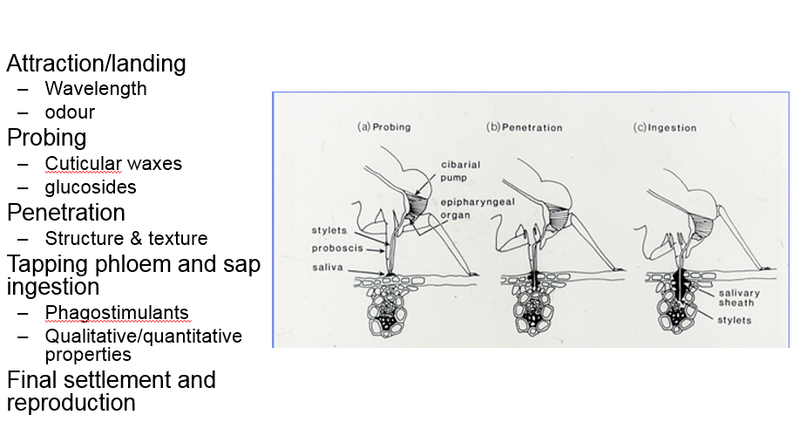 Peter Price and colleagues (Price et al., 1987) very succinctly summarised the four hypotheses that address the adaptive value of insect galls; a) No adaptive value (Bequaert, 1924), b) adaptive value for the plant (Mani, 1964), c) adaptive value for plant and herbivore (mutual benefit) (Cockerell, 1890) and d) adaptive value for the insect. This last hypothesis is further subdivided into nutritional improvements, micro-environmental improvements and natural enemy protection (Price et al., 1987). Becquaert’s non-adaptive hypothesis is and was easily and quickly dismissed (Price et al., 1987), so I will move swiftly on to the plant-protection hypothesis which Price et al., dismiss almost as swiftly. In essence if galls are not associated with enhanced growth and survival of the galled plant then there is no protection offered. In fact, galling insects have been used as biological control agents against weeds (e.g. Holloway & Huffaker, 1953; Gayton & Miller, 2012) which to put it mildly, does not suggest any benefits accruing from being galled. 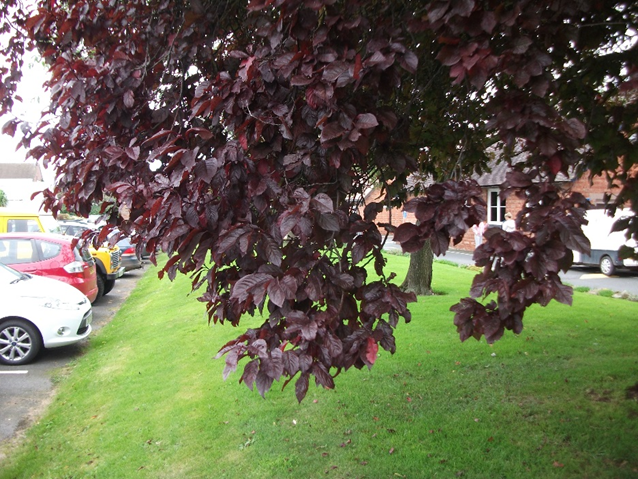 That said, you could argue (weakly) and assuming that the plant is in control of producing the gall, that by confining the insect to a particular part of the plant it is “contained” and can be dealt with if it is causing too much damage by for example premature leaf abscission (Williams & Whitham, 1986). The mutual benefit hypothesis is also easily dismissed as there is no evidence that galls improve the fitness of a plant as galling insects are parasites of the plant. You might argue that fig wasps and figs mutually benefit each other, but in this case I think we are looking at special case pleading as the fig wasp are pollinators (Janzen, 1979). So that takes us on to the adaptive value for insects hypothesis which makes a lot more sense as it is the insect (in this case the aphid), that has made the investment in what you might justifiably term, mutagenic saliva (Miles, 1999). 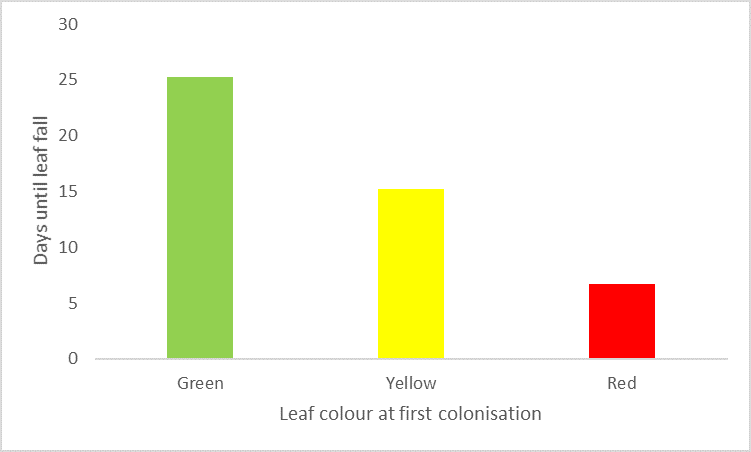 There is overwhelming evidence so support the nutrition hypothesis that galled leaves and galls are nutritionally superior to ungalled leaves (Llewellyn, 1982); e.g. acting as nitrogen sinks (Paclt & Hässler, 1967; Koyama et al., 2004), enhancing development and fecundity for succeeding generations of aphids (e.g. Leather & Dixon, 1981) and providing better nutrition for non-galling aphids and other insects (e.g. Forrest, 1971; Koyama et al., 2004; Diamond et al., 2008). I also found a description of an aphid, Aphis commensalis, the waxy buckthorn aphid, which lives in the vacated galls of the psyllid Trichochermes walker, but whether this is for protection or nutritional reasons is not clear (Stroyan, 1952). The microenvironment hypothesis which suggests that the galls provide protection from extremes in temperature and humidity was hard to support with published data when Price et al. (1987) reviewed the topic. They mainly relied on personal observations that suggested that this might be true. I found only two references in my search (Miller et al, 2009) that supported this hypothesis, albeit one of which is for gall wasps. I have so far only been able to find one reference that suggest galls benefit aphids, in this case protecting them from very high temperatures (Martinez, 2009). 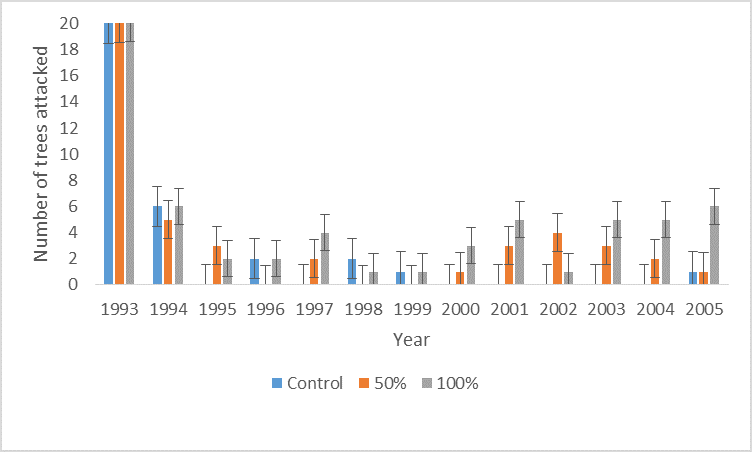 The natural enemy protection hypothesis has been tested almost as much as the nutrition hypothesis and in general terms seems to be a non-starter as gall forming insects seem to be especially attractive to parasitoids; see Price et al., (1987) for a host of references. Aphids, however, may be a different case, free-living aphids have many parasitoid species attacking them, but those aphids that induce closed galls are singularly parasitoid free, at least in North America (Price et al., 1987). Although this may have been from lack of looking, as parasitoids have been identified from galls of the aphid Pemphigus matsumarai in Japan (Takada et al., 2010). 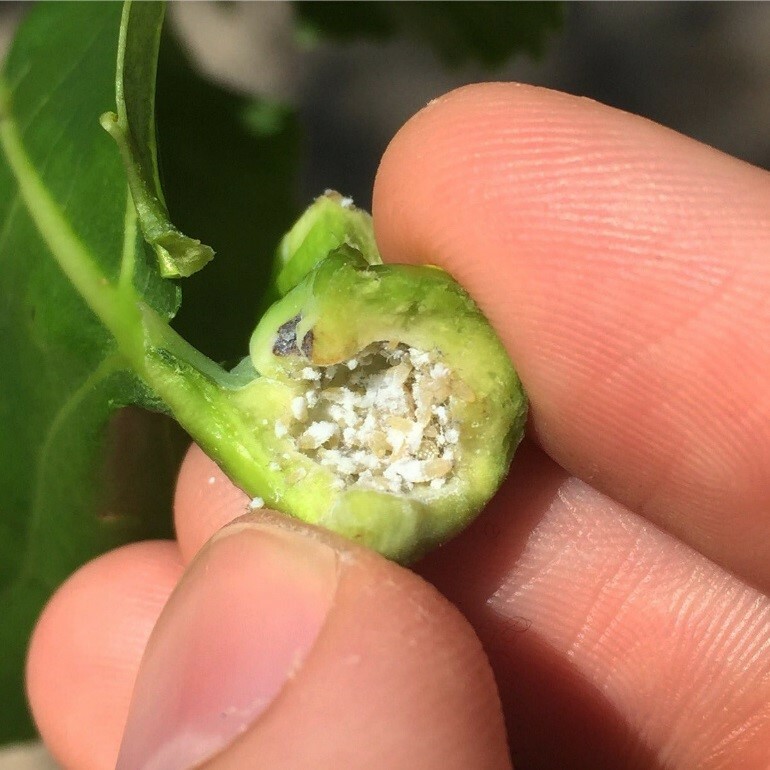 Closed galls are not always entirely closed as some need holes to allow honeydew to escape and migrants to leave (Stone & Schonrogge, 2003) which can act as entry points for natural enemies, but cleverly, the aphids have soldier aphids to guard against such insect invaders. Sometimes the potential predator can be a vertebrate. The aphid Slavum wertheimae forms closed galls on wild pistachio trees, and are, as with many other closed gall formers, not attacked by parasitoids (Inbar et al., 2004). Wild pistachios are, however, attractive food sources to mammalian herbivores and gall aphids being confined to a leaf, unlike free living aphids could be inadvertently eaten. The galls however, contain higher levels of terpenes than surrounding leaves and fruits and emit high levels of volatiles that deter feeding by goats and other generalist herbivores thus protecting their inhabitants (Rostás et al., 2013). 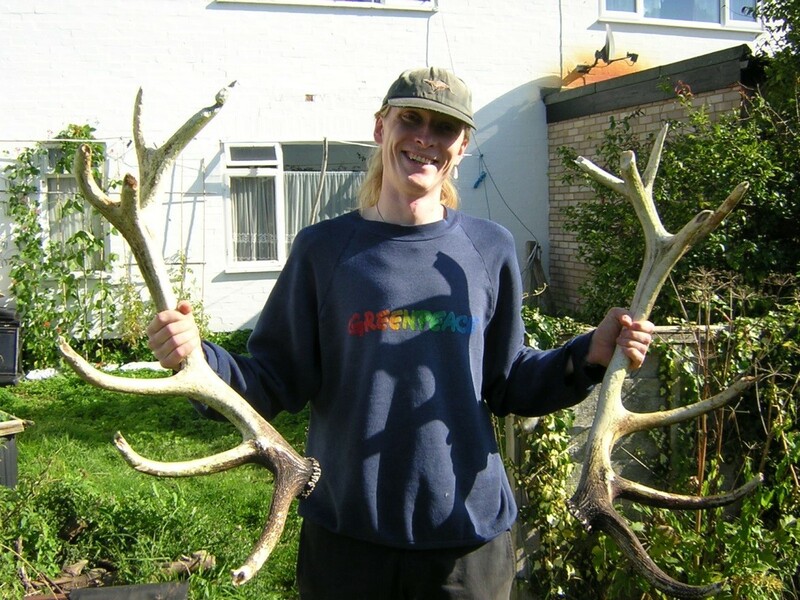 Not only that, but to make sure that any likely vertebrate herbivores avoid their gall homes, they make them brightly coloured (Inbar et al., 2010). 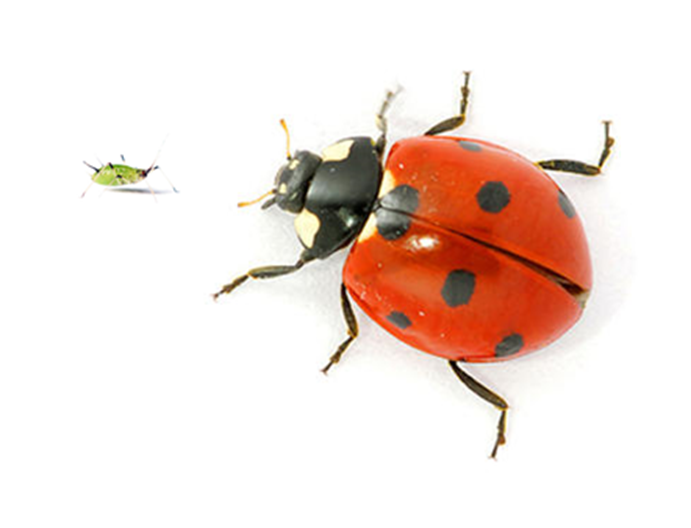 Aphids really are great at manipulating plants. Cauliflower gall on wild pistachio, caused by Slavum wertheimae (Rostás et al., 2013). Leaf rolls and curls on the other hand are more open structures, and in my experience, aphids that form leaf rolls or curls, are very vulnerable once a predator finds them crowded together in huge numbers. Gall-dwelling aphids, including those that live in rolls and curls, tend, however, to be very waxy, and this may deter the less voracious predators. 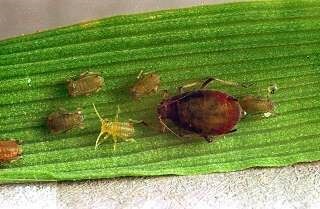 I tend to support the nutritional benefit hypothesis in that with host alternating aphids, the enhanced nutrition enables rapid growth and development and is a way of building up numbers quickly, and hopefully the aphids are able to migrate to a new host, before the natural enemies find them. Real life drama, Rhopalosiphum padi on Prunus padus at Harper Adams University May-June 2017. 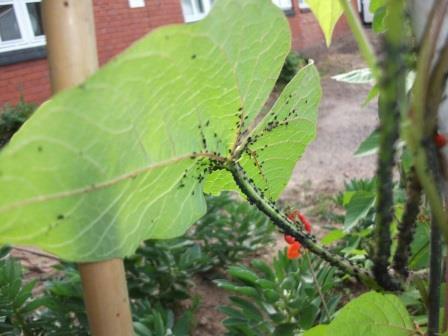 In this instance the aphids won, and the plant was covered in hungry ladybird larvae eating mainly each other and the few aphids that had not managed to reach adulthood. One thing that struck me while researching this article was that all the aphids producing galls, rolls or curls were host-alternating species. A fairly easily tested hypothesis for someone with the time to review the biology of about 5000 aphids, is that only host alternating aphids go in for galls. This could be a retirement job J. 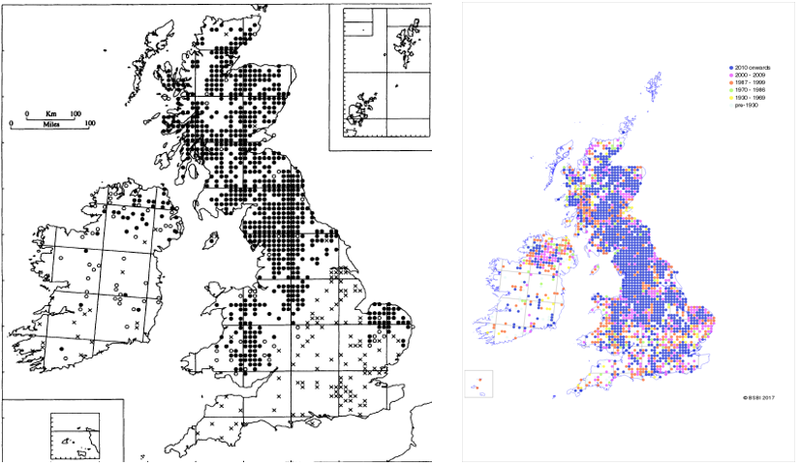 There are, depending on which estimate you agree with, somewhere between 8 000 000 to 30 000 000 insect species (Erwin, 1982; Stork, 1993; Mora et al., 2011), but even the highest estimate suggests that only 211 000 of these are galling species (Espirito-Santos & Fernandes, 2007). And a final thought, if galls are so great why don’t all aphids and other phloem and xylem feeding insects go in for them? Becquaert, J. (1924) Galls that secret honeydew. A contribution to the problem as to whether galls are altruistic adaptations. Bulletin of the Brooklyn Entomological Society, 19, 101-124. Cockerell, T.D.A. (1890) Galls. Nature, 41, 344. Diamond, S.E., Blair, C.P. & Abrahamson, W.G. (2008) Testing the nutrition hypothesis for the adaptive nature of insect galls: does a non-adapted herbivore perform better in galls? Ecological Entomology, 33, 385-393. Erwin, T.L. (1982) Tropical forests: their richness in Coleoptera and other arthropod species. The Coleopterists Bulletin, 36, 74-75. Espirito-Santos, M.M. & Fernandes, G.W. (2007) How many species of gall-inducing insects are there on Earth, and where are they? Annals of the Entomological Society of America, 100, 95-99. Forrest, J.M.S. 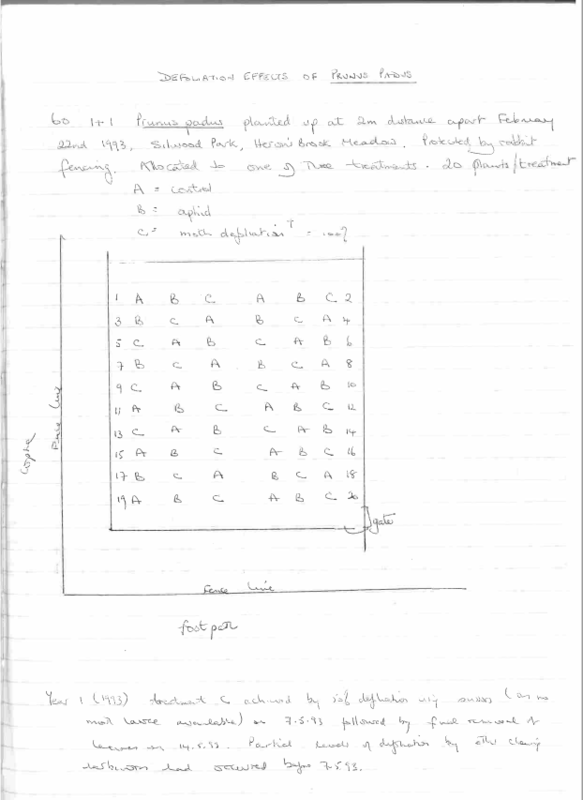 (1971) The growth of Aphis fabae as an indicator of the nutritional advantage of galling to the apple aphid Dysaphis devecta. Entomologia experimentalis et applicata, 14, 477-483. Forrest, J.M.S. & Dixon, A.F.G. 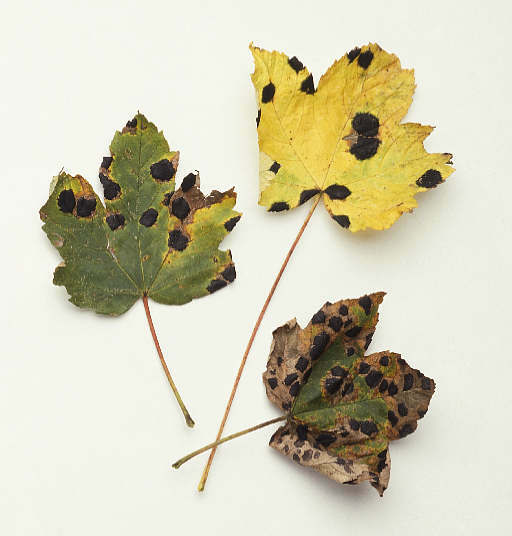 (1975) The induction of leaf-roll galls by the apple aphid Dysaphis devecta and D. plantaginea. Annals of Applied Biology, 81, 281-288. Gayton, D. & Miller, V. (2012) Impact of biological control on two knapweed species in British Columbia. Journal of Ecosystems & Management, 13, 1-14. Holloway, J.K. & Huffaker, C.B. (1953) Establishment of a root borer and a gall fly for control of klamath weed. Journal of Economic Entomology, 46, 65-67. Inbar, M., Wink, M. & Wool, D. (2004) The evolution of host plant manipulation by insects: molecular and ecological evidence from gall-forming aphids on Pistacia. Molecular Phylogenetics & Evolution, 32, 504-511. Inbar, M., Izhaki, I., Koplovich, A., Lupo, I., Silanikove, N., Glasser, T., Gerchman, Y., Perevolotsky, A., & Lev-Yadun, S. (2010) Why do many galls have conspicuous colors? A new hypothesis. Arthropod-Plant Interactions, 4, 1-6. Janzen, D.H. (1979) How to be a fig. 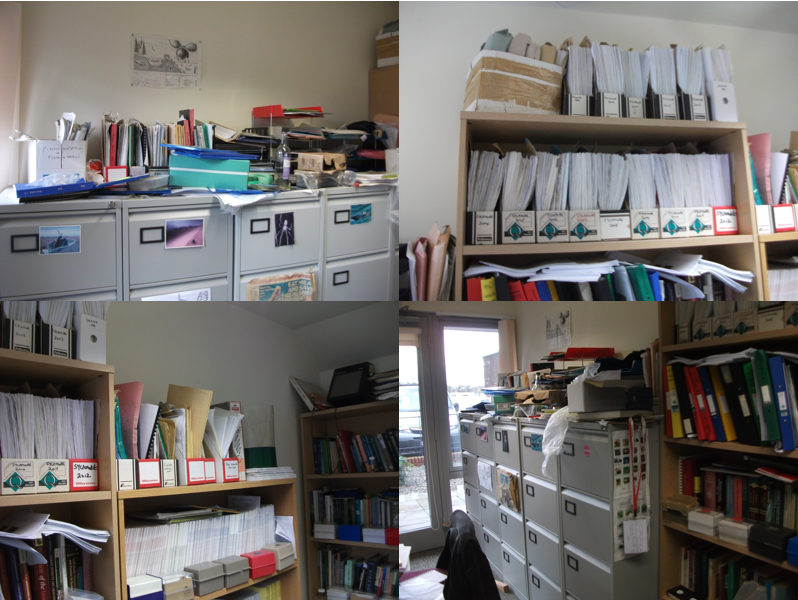 Annual Review of Ecology & Systematics, 10, 13-51. Koyama, Y., Yao, I. & Akimoto, S.I. (2004) Aphid galls accumulate high concentrations of amino acids: a support for the nutrition hypothesis for gall formation. Entomologia experimentalis et applicata, 113, 35-44. 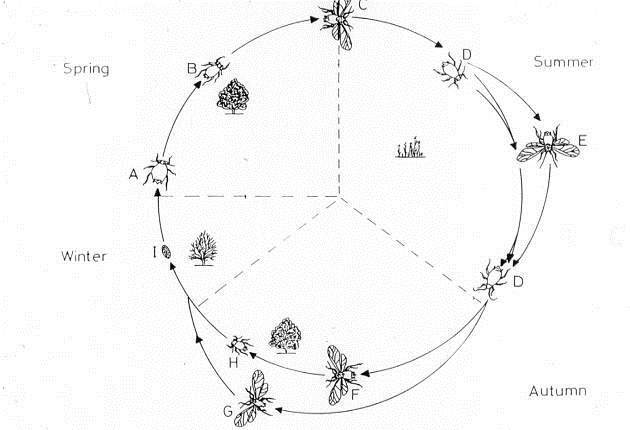 Llewellyn, M. (1982) The energy economy of fluid-feeding insects. Pp 243-251, Proceedings of the 5th International Symposium on Insect-Plant Relationships, Wageningen, Pudoc, Wageningen. Mani, M.S. (1964) The Ecology of Plant Galls. W Junk, The Hague. Martinez, J.J.I. (2009) Temperature protection in galls induced by the aphid Baizongia pistaciae (Hemiptera: Pemphigidae). Entomologia Generalis, 32, 93-96. Miles, P.W. (1999) Aphid saliva. 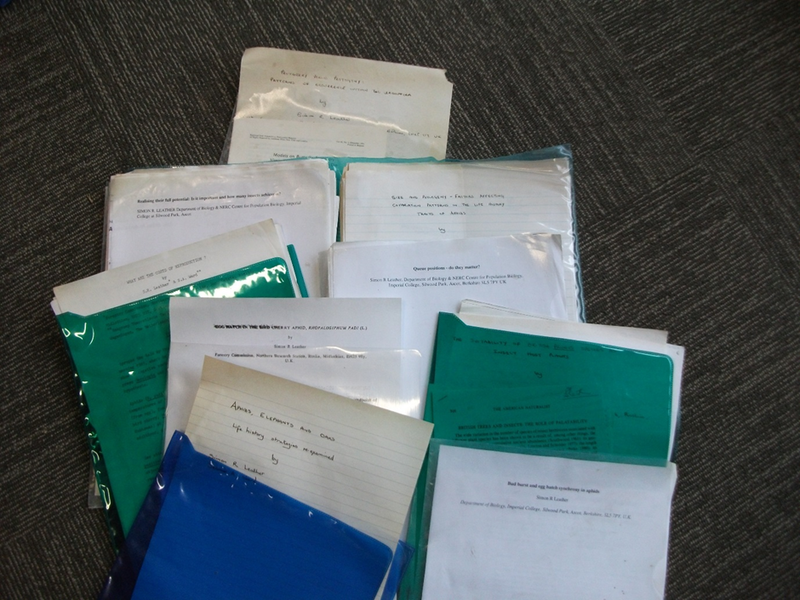 Biological Reviews, 74, 41-85. Miller, D.G., Ivey, C.T. & Shedd, J.D. 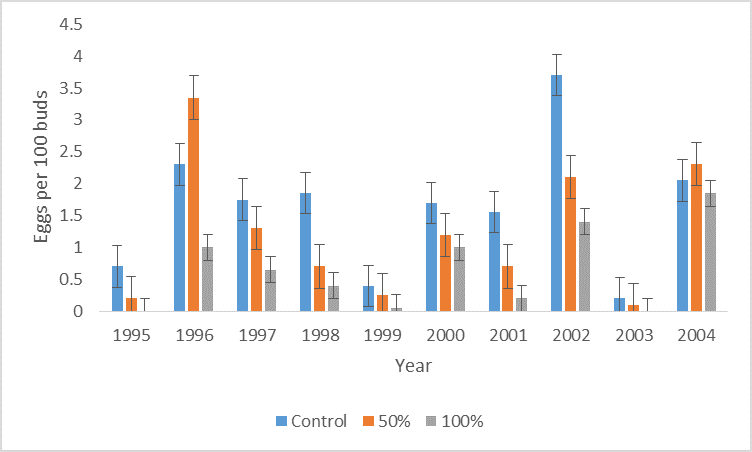 (2009) Support for the microenvironment hypothesis for adaptive value of gall induction in the California gall wasp, Andricus quercuscalifornicus. Entomologia experientalis et aplicata, 132, 126-133. Mora, C., Tittensor, D.P., Adl, S., Simpson, A.G.B., & Worm, B. (2011) How many species are there on earth and in the ocean? PloS Biology, 9(8):, e1001127.doi:10.1371/journal.pbio.1001127. Paclt, J. & Hässler, J. 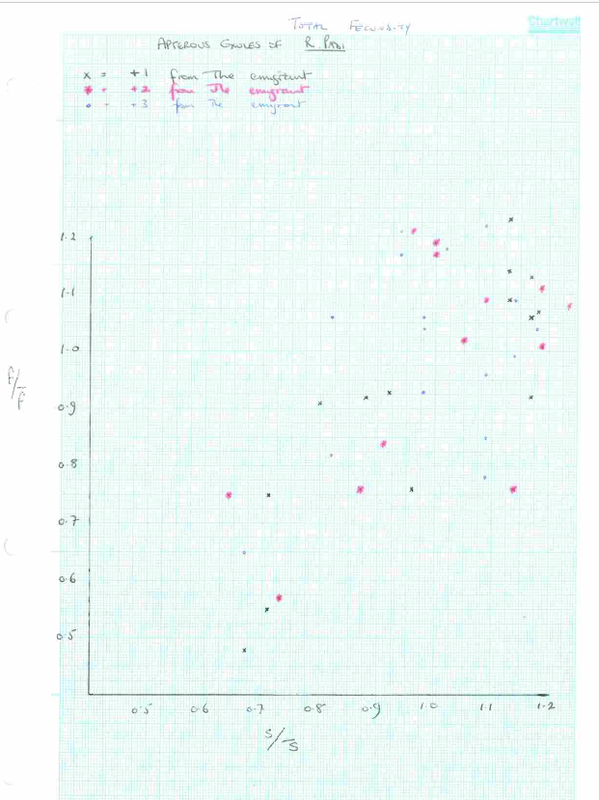 (1967) Concentrations of nitrogen in some plant galls. Phyton, 12, 173-176. Price, P.W., Fernandes, G.W. & Waring, G.L. (1987) Adaptive nature of insect galls. Environmental Entomology, 16, 15-24. 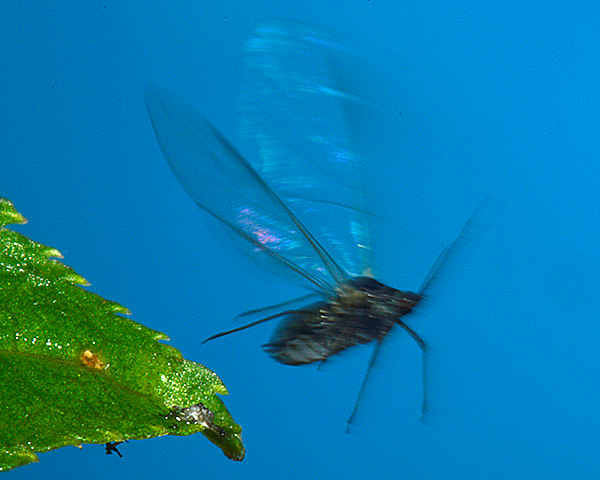 Rostás, M., Maag, D., Ikegami, M. & Inbar, M. (2013) Gall volatiles defend aphids against a browsing mammal. BMC Evolutionary Biology, 13:193. Smith, K.M. (1920) Investigations of the nature and cause of the damage to plant tissue resulting from the feeding of capsid bugs. Annals of Applied Biology,7, 40-55. Smith, K.M. (1926) A comparative study of the feeding methods of certain Hemiptera and of the resulting effects upon the plant tissue, with special reference to the potato plant. Annals of Applied Biology, 13, 109-139. Stone, G.N. & Schönrogge, K. (2003) The adaptive significance of insect gall morphology. Trends in Ecology & Evolution, 18, 512-522. Stork, N.E. (1993) How many species are there? Biodiversity & Conservation, 2, 215-232. 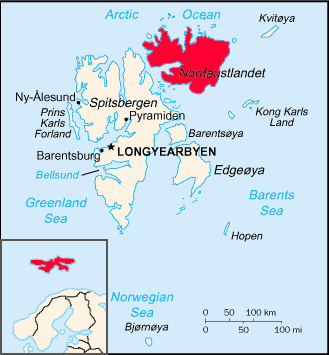 Stroyan, H.L.G. (1952) Three new species of British aphid. Proceedings of the Royal Entomological Society B, 21, 117-130. Takada, H., Kamijo, K. & Torikura, H. (2010) An aphidiine parasitoid Monoctonia vesicarii (Hymenoptera: Braconidae) and three chalcidoid hyperparasitoids of Pemphigus matsumurai (Homoptera: Aphididae) forming leaf galls on Populus maximowiczii in Japan. Entomological Science, 13, 205-215. Williams, A.G. & Whitham, T.G. 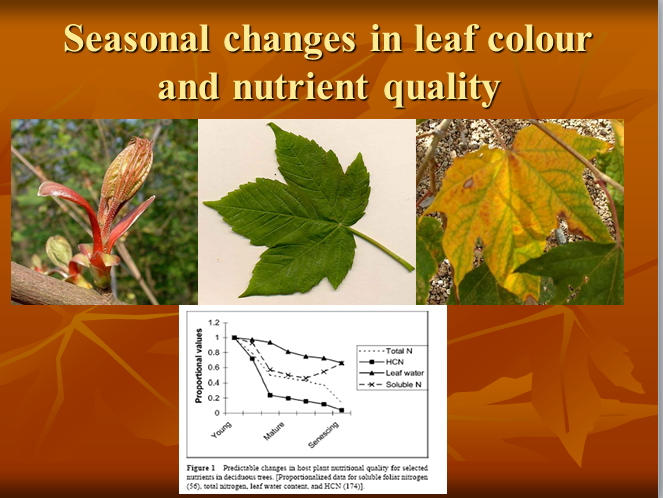 (1986) Premature leaf abscission: an induced plant defense against aphids. Ecology, 67, 1619-1627. Other aphid species, such as my favourite, the bird cherry-oat aphid, Rhopalosiphum padi, only produce alate morphs at specific times of year or in response to changes in host plant quality or crowding. 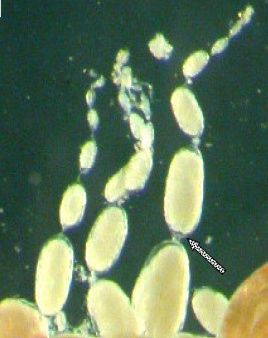 Winged (alate) and non-winged (apterous) morphs of Rhopalosiphum padi. 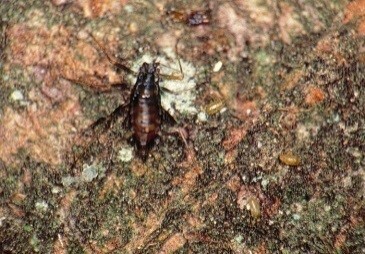 In species such as the sycamore aphid, the only apterous morph tends to be the sexual female or ovipara, which has no need to disperse and after mating lives only long enough to develop and lay its eggs on the bark of sycamore trees. 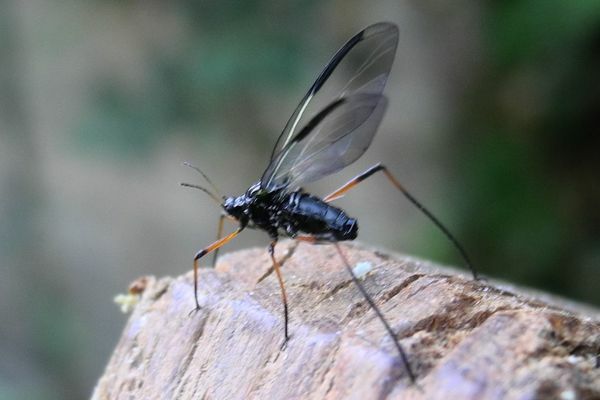 In those species such as the bird cherry-oat aphid, the winged forms are very different from the non-winged forms, not just in terms of their wings but in their physiology, behaviour and life history traits (Dixon, 1998). 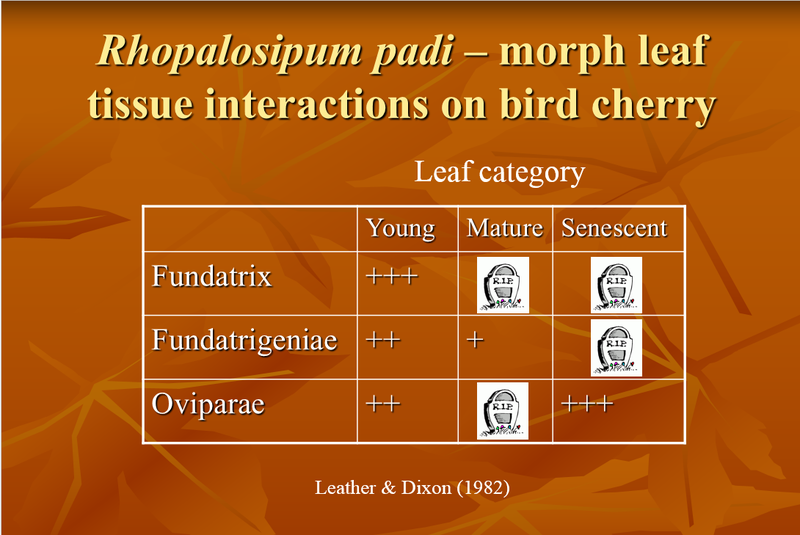 The role of the winged morphs is to find new host plants and to start new colonies. They have long antenna, long legs and well-developed and many, sensory organs (rhinaria). They are the dispersal stage, or in the case of winged males, the mate seekers. 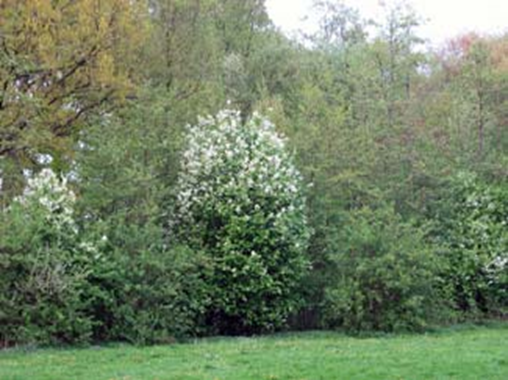 They respond more readily to host odours; they need to be able to find new host plants at a suitable physiological stage and preferably free of natural enemies. A well-developed olfactory system is thus called for. 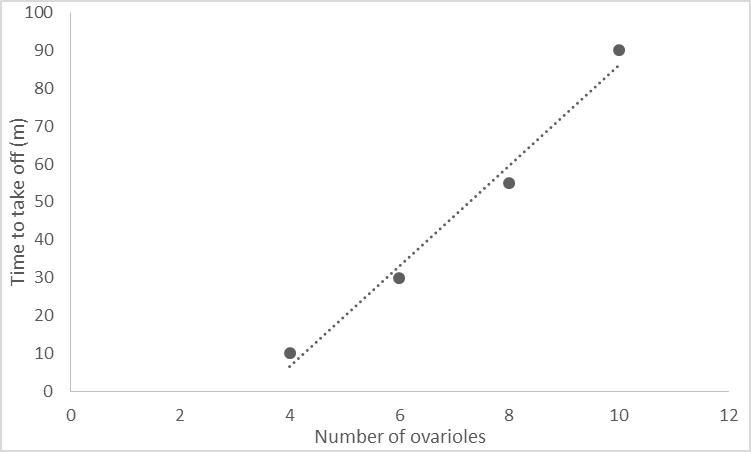 If you cut them open (preferably anaesthetizing them first), and remove their ovaries, you will find that they have ovarioles with only a few embryos in each chain and that most of the embryos are not mature i.e. without eye spots. 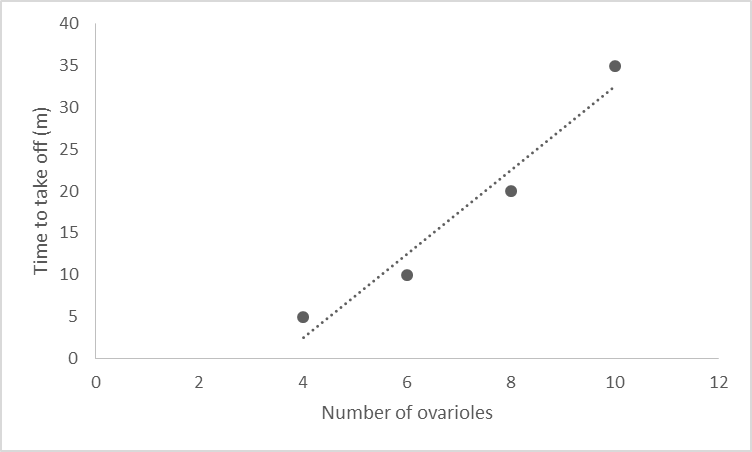 In addition, if you cut open a number of individuals from the same clone you will find that they will not all have the same number of ovarioles. For example, the alate exules (winged forms produced on the secondary host plants )of Rhoaplosiphum padi, the number of ovarioles can range from four to ten (Wellings et al, 1980). 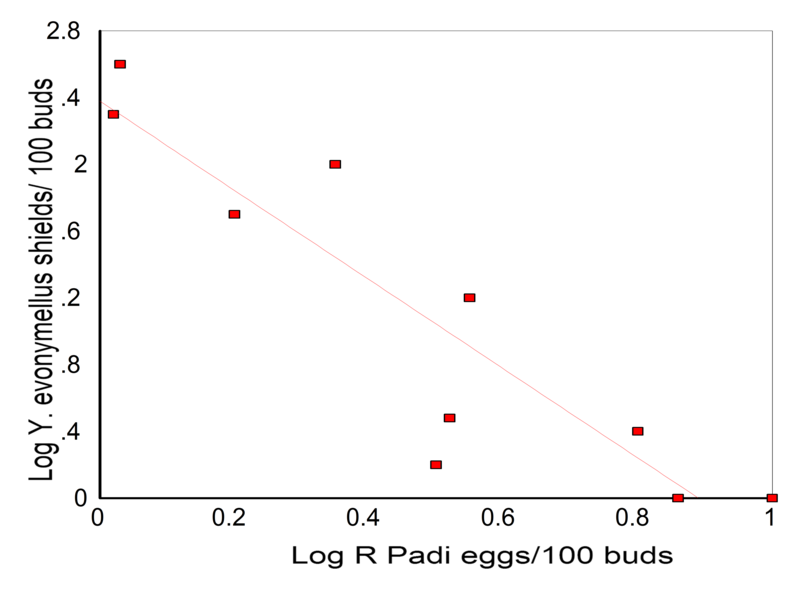 This variability of ovariole number in the dispersal morphs of aphids that spend much of their life cycle on ephemeral host plants is quite common (Leather et al 1988). So why do so many aphid species have variable numbers of ovarioles in their alate morphs? 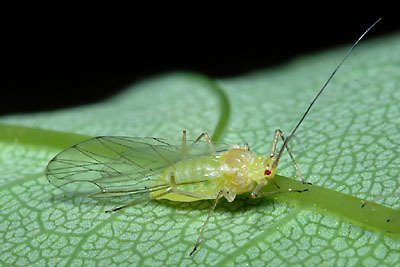 Shaw (1970), showed that there appeared to be three types of black bean aphid (Aphis fabae) alate exules; migrants, those that flew before depositing nymphs, flyers, those that deposited a few nymphs before flying, and non-flyers, those that stayed and reproduced on their host plant. He postulated that this was an adaptation in response to host quality, the worse state the plant was in the more likely the migrant morph would be produced. 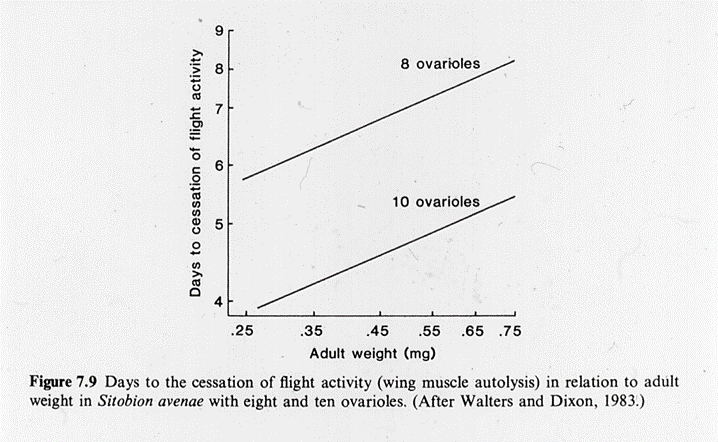 Many years later Keith Walters and Tony Dixon (Walters & Dixon, 1983) were able to show that there was a very strong relationship between reproductive investment (number of ovarioles) and flight willingness and ability. 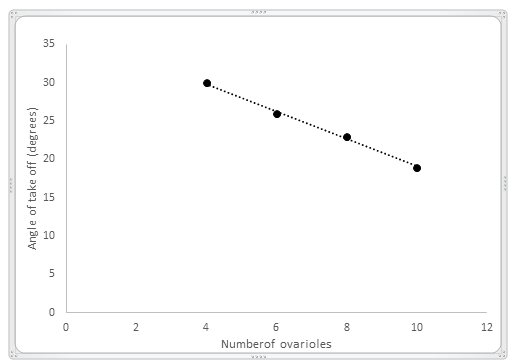 The more ovarioles an aphid had, the less likely it was to want to take off and fly, and in addition those with more ovarioles could not fly for as long or as far as those with fewer. In other words a trade-off between fecundity and migration. As long distance aphid migration is very costly (very few survive, Ward et al, 1998) it makes sense to have members of your clone spreading the load (risk), from short-distance hops (trivial flights), with the chance that the next door plant might be just as bad as the one left behind and within easy reach of natural enemies, but with a higher chance of survival and reproduction, to long distance migratory flights, with the reduced probability of finding a host plant but with the chance that it will be high in nutrition and low in natural enemies. Dixon, A.F.G. (1998) Aphid Ecology, Second edn. Chapman & Hall, London. Roger Blackman and Vic Eastop’s monumental work, alate morphs have never been described (or seen) and even males are apterous. Blackman, R.L. & Eastop, V.F. (1994) Aphids on the World’s Trees. CABI, Wallingford. 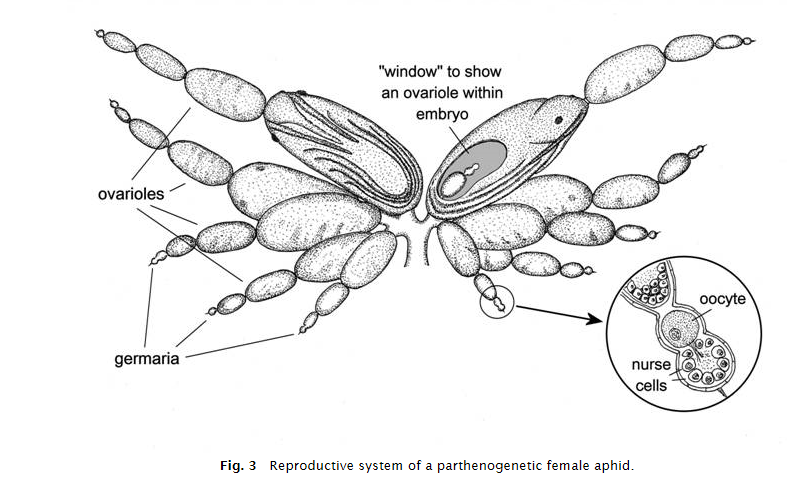 For a very detailed and thoughtful review of the ‘decisions’ and costs involved in aphid reproductive and dispersal biology see Ward, S.A. & Dixon, A.F.G. 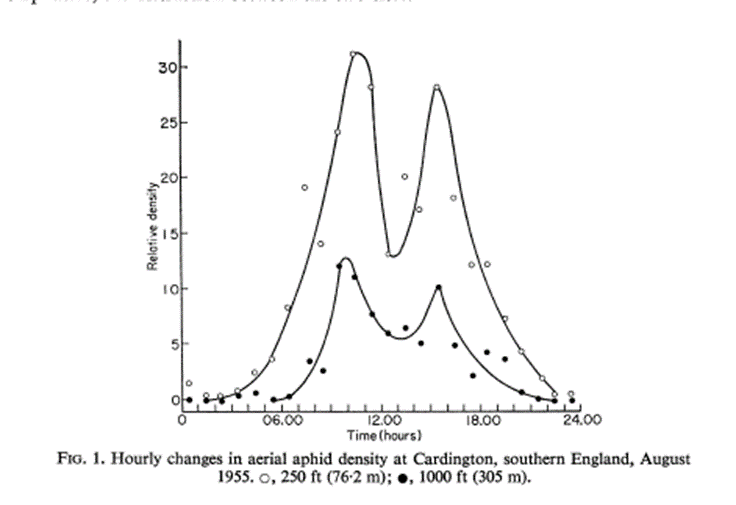 (1984) Spreading the risk, and the evolution of mixed strategies: seasonal variation in aphid reproductive strategies. Advances in Invertebrate Reproduction, 3, 367-386.